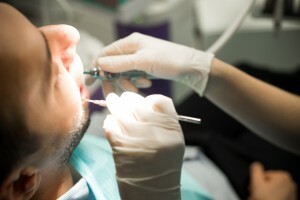 Oral surgery may sound a little scary, but it’s a necessary and often life-altering step taken to improve the health, function or appearance of your teeth. With that in mind, we think it’s about time you know a little more about what we do here at Piney Point Oral and Maxillofacial Surgery — read on to learn all you need to know about your Houston oral surgeons. Oral Maxillofacial Surgery is a dental specialty that includes surgical (and, in fact, non-surgical) treatment of many diseases and abnormalities of the mouth, jaws and face. Your surgeon can perform everything from a simple tooth extraction to extensive jaw reconstruction. Your Houston oral surgeons have received extensive education and training to provide you the best care possible. Every oral maxillofacial surgeon must complete a four year hospital-based residency after finishing dental school, and their time in residence provides experience in medicine, general surgery and other oral surgical specialties. And because oral surgery requires extensive use of general anesthesia, oral surgeons also benefit from four to six months of anesthesia training in a hospital setting. Continuing education doesn’t ever stop, though, and our very own Dr. Koo and and Dr. Weil know that well. They’re members of many top dental organizations, and never tire of staying abreast of the latest research and developments in oral and maxillofacial surgery. With so much training and experience under our belts, you can trust that you’re in expert hands with your Houston oral surgeon. Whether it’s a simple wisdom teeth removal or something far more extensive, please don’t shy away from giving your teeth the care they desperately need. Many problems with teeth can be ignored for a short time, but they’ll only get worse as the days go by. Don’t wait another minute to call your Piney Point Oral and Maxillofacial surgeons! We truly care about you and your smile. by: Piney Point OMS at September 10, 2015 .